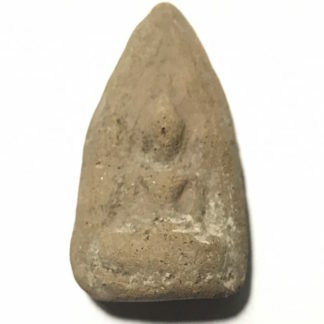 The Pra Somdej Pra Nakprok Nuea Gae Din Pasom Wan 108 released in Grand Buddha Abhisekha Ceremony at Wat pratat Panom (Nakorn Panom), in the year 2518 BE. 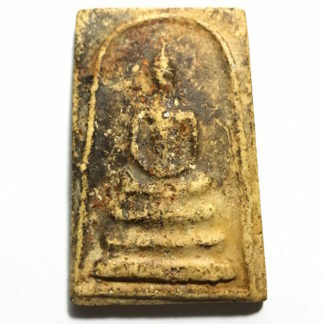 Blessed on the 26th December 2518 to commemorate the installation of the Pratat Buddha Relics within the Chedi Stupa which was completed at Wat Pratat Panom. 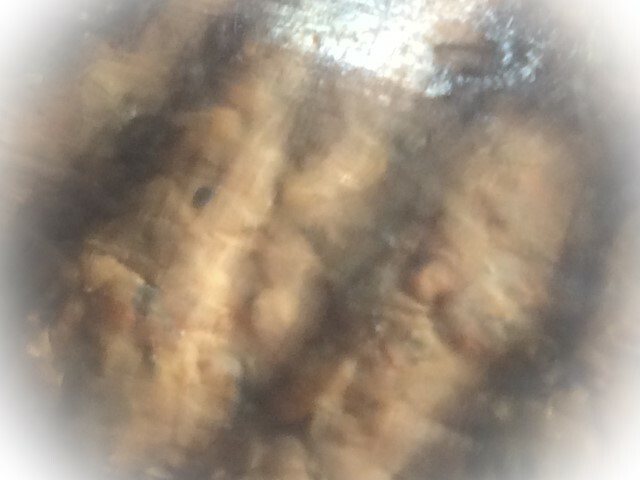 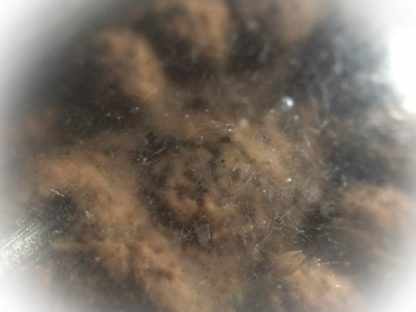 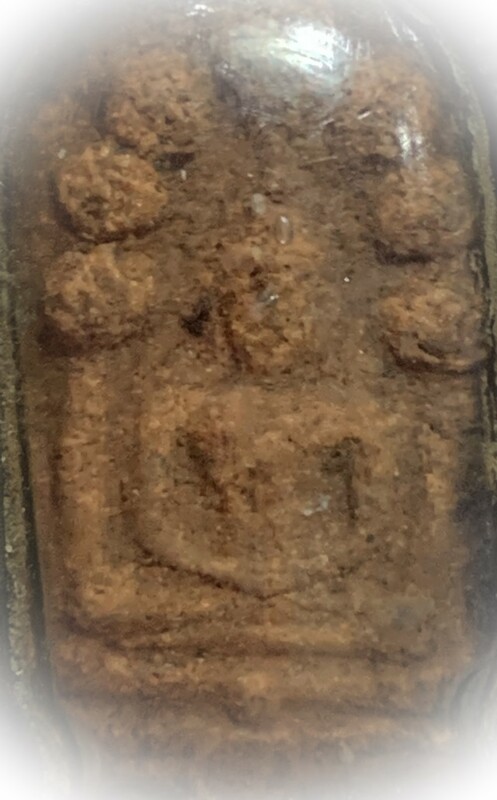 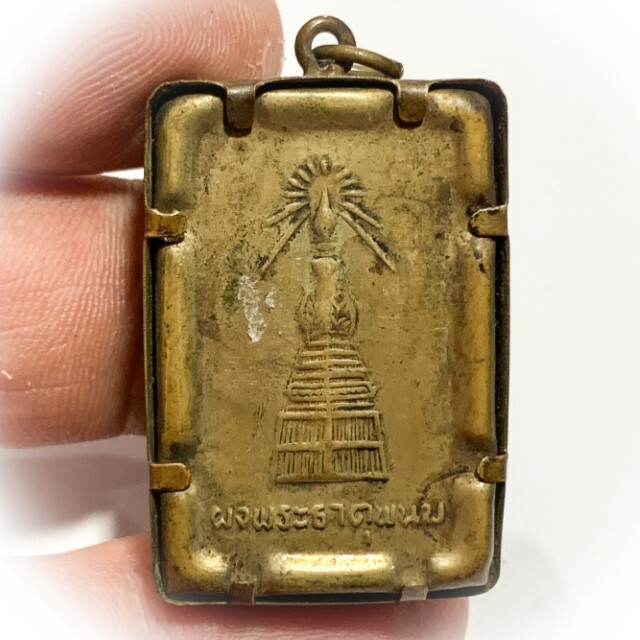 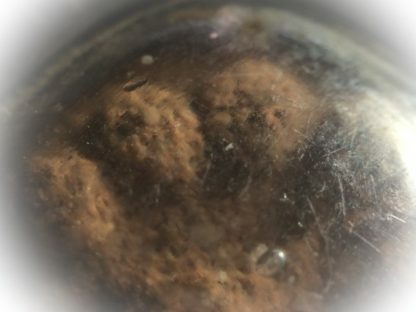 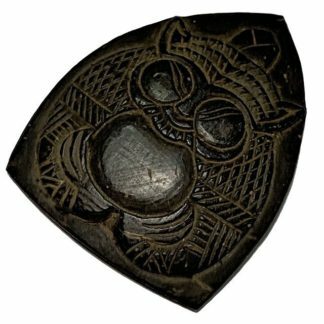 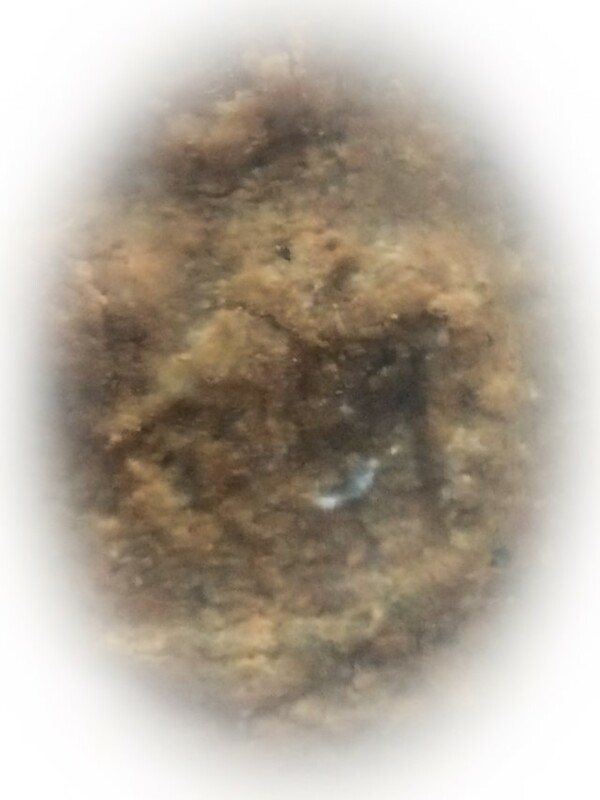 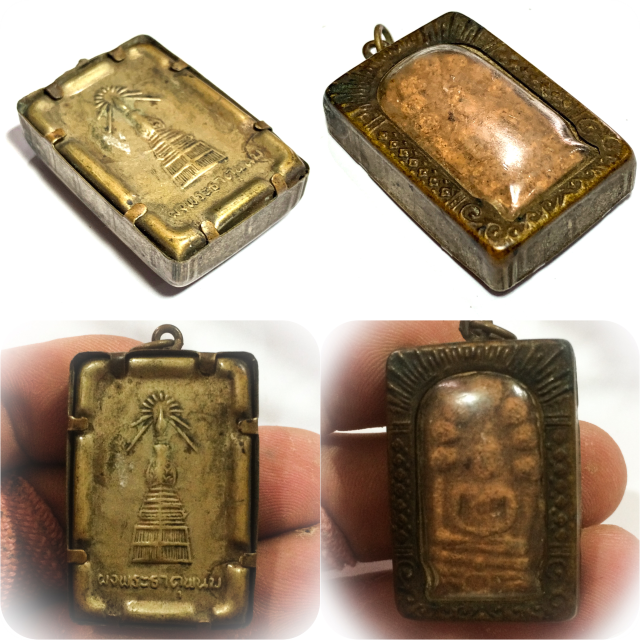 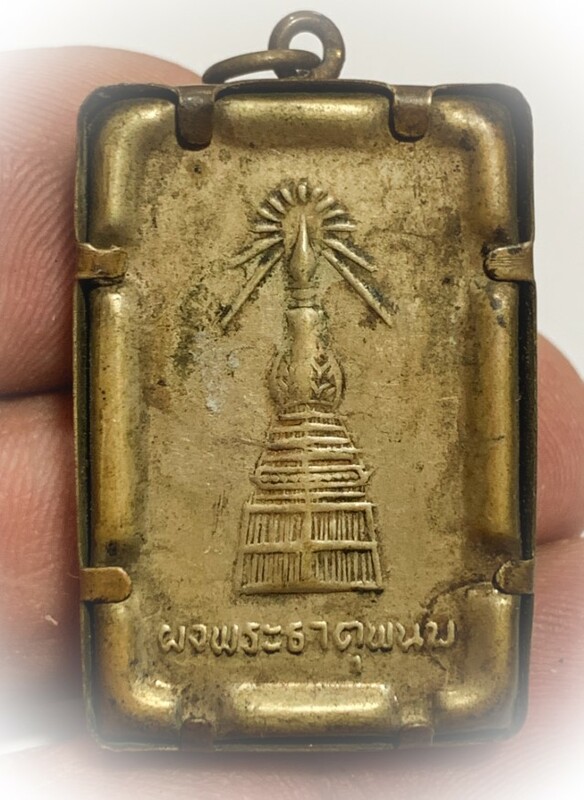 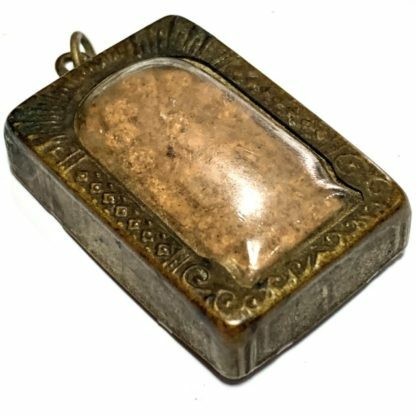 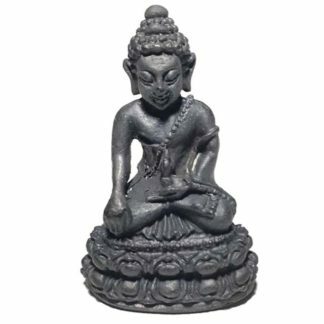 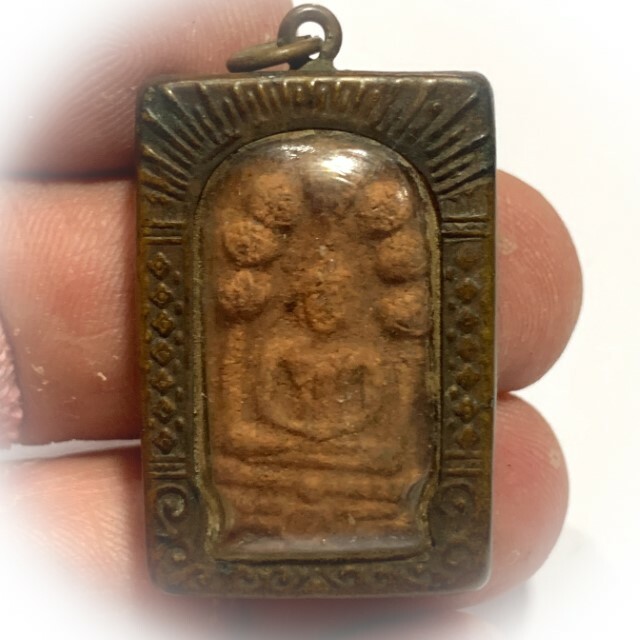 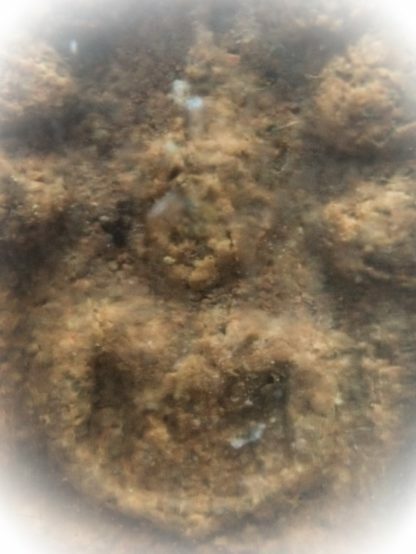 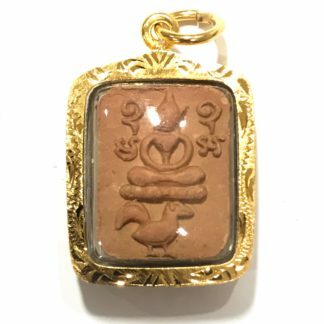 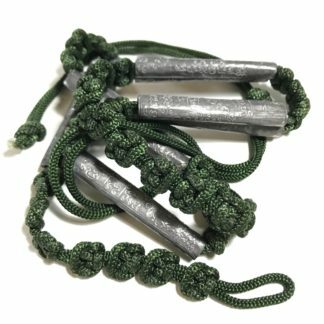 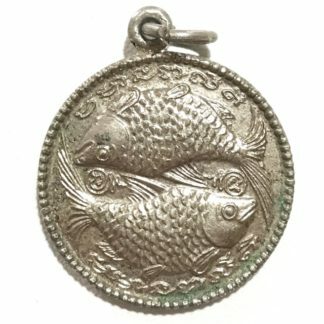 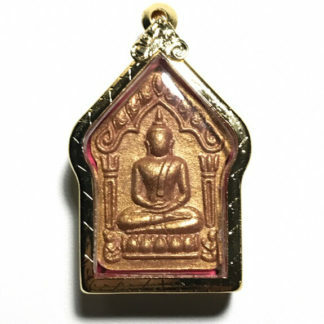 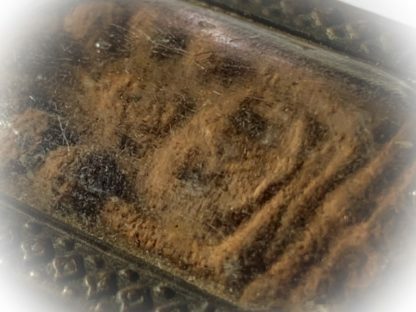 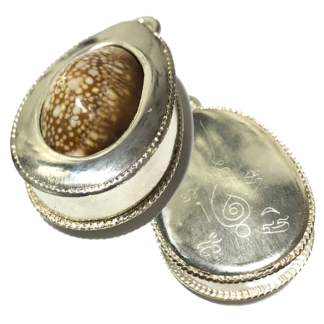 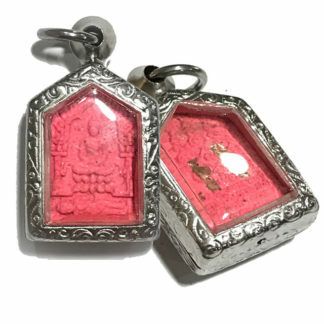 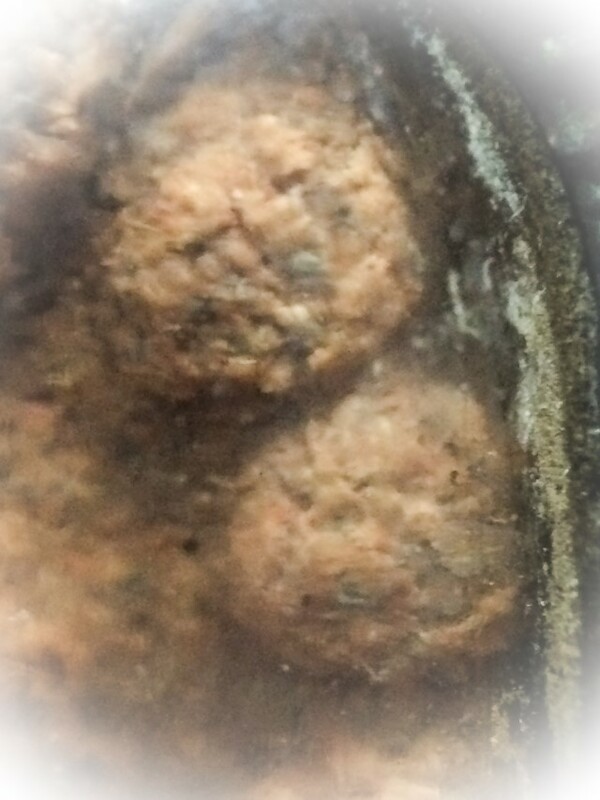 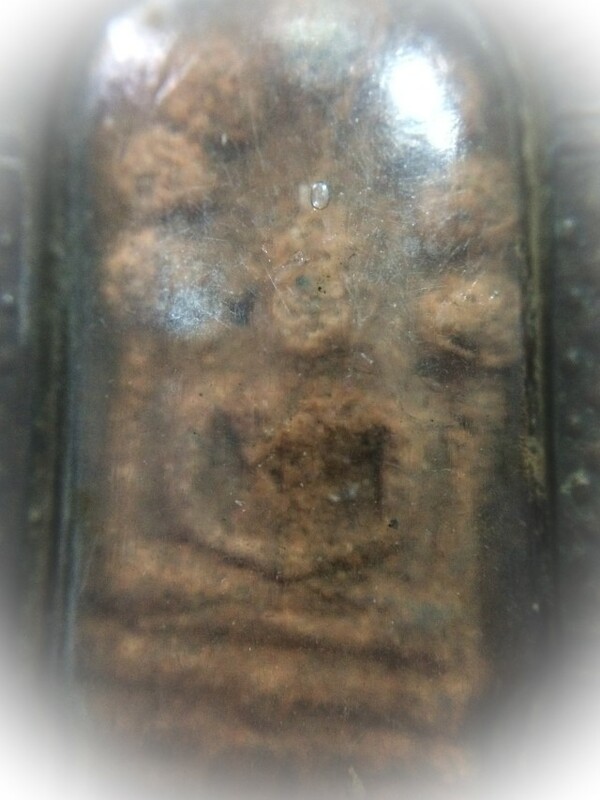 This is a very well known amulet that is highly favored by devotees of Pra Ajarn Fan, for his presiding over the empowerment ceremony, as well as by many practitioners of the Tudong Forest Tradition practice of Vipassana Kammathana Meditation. 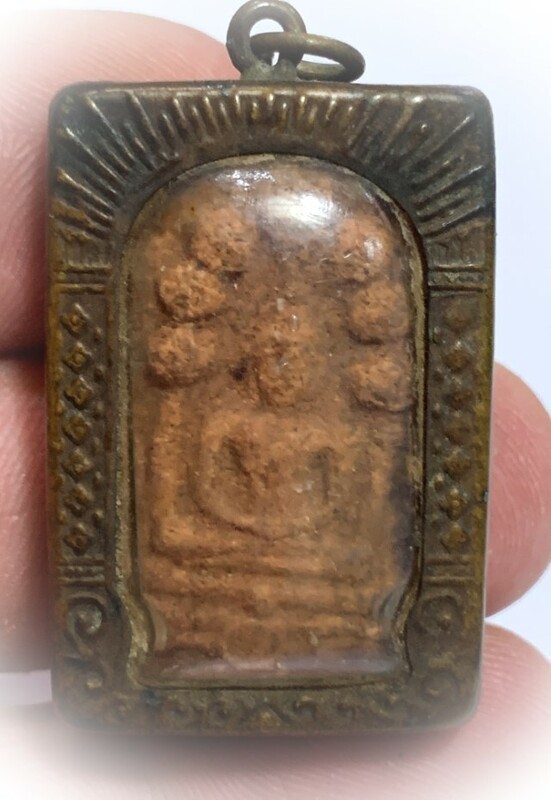 Other monks were LP Dter Ajaratammo, LP Jantr Khemiyo, and LP Kampant Kosapanyo, and 108 other Thera Monks, of 10-20 Years of Tudong Practice attended to assist in empowerment and chanting of the Buddha Abhisekha. 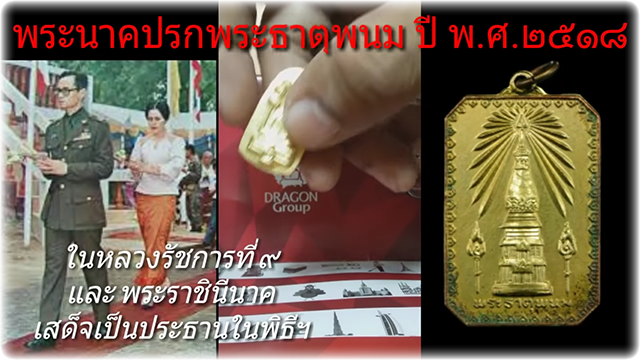 His Majest and Her Majesty the King and Queen (Rama 9) were also present to assist and attend the ceremony. 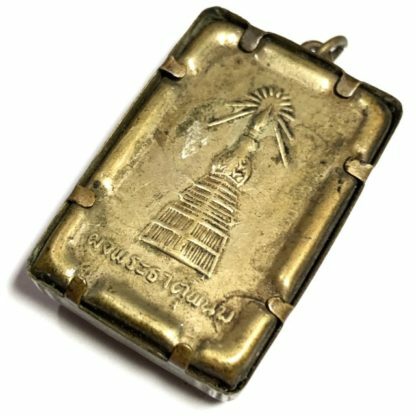 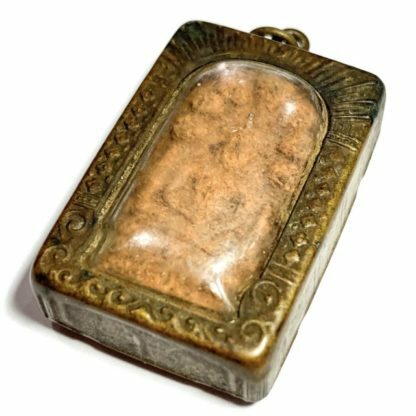 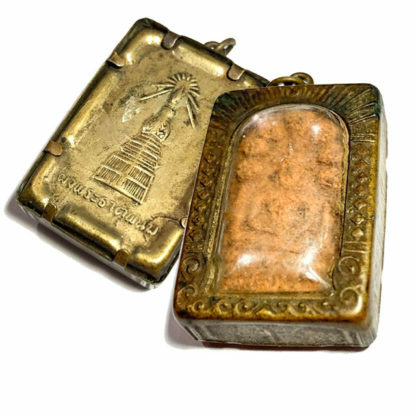 The amulet comes with the original casing from the temple as issued in 2518 BE. 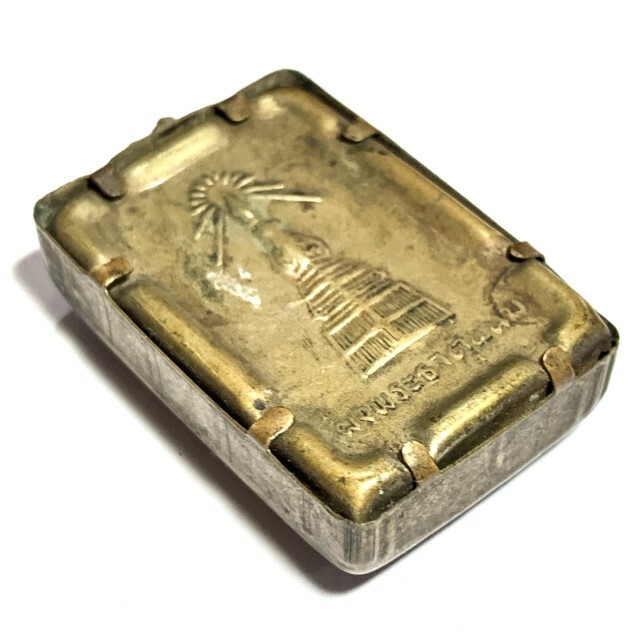 Most were issued without casing, but some were issued to Gammagarn and important members of the Comittee of Devotees, and Civil Servants with this original casing.